Shannon joined our professional varicose vein center in 2008. 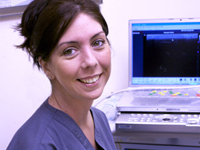 As an ultrasound technologist, Shannon is responsible for the proper and comprehensive evaluation of our vascular ultrasound exams. An expert in the field of functional studies, Shannon is trained and educated in both echo and vascular studies with a primary focus in the area of venous testing. Shannon’s ability to acutely detect and map the venous system through her ultrasound procedures compliments our ability to properly evaluate and diagnosis patients entrusted in our care. Shannon’s brings her competency, compassion and professionalism to the Advanced Vein Care Solutions team, thus ensuring the most comprehensive, meticulous and caring approach while in her care. Leading up to her involvement with Advanced Vein Care Solutions, Shannon served with the United States Air Force as a medical technician, has been a medical assistant and gives her time as an ambulance volunteer. Shannon attended Sanford Brown Institute for Cardiovascular Imaging and was trained by Vascular Solutions for EVLT. 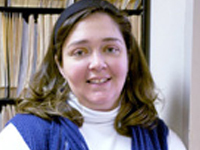 Caren joined Advanced Vein Care Solutions in 1999. She is our Patient Service Representative and an integral part in our concierge approach to healthcare management. Her primary responsibilities include: greeting our patients both in person and over the phone, scheduling patient appointments, processing of patient registration, and accompanying each patient to the appropriate consultation or surgery suite at our center. Caren attests that her organizational skills as well as her ability to multitask assist her well in accomplishing her daily tasks at Advanced Vein Care Solutions. Her positive and outgoing personality is paramount to her work and she enjoys spending time with both our team and our patients. Prior to becoming a member of Advanced Vein Care Solutions, Caren worked in a Neurologist’s office for 10 years. Here she developed a strong understanding of the patient/doctor relationship and strengthened her communication skills. Caren believes her work adeptness was acutely sharpened through her performance in this busy office environment, thus giving her the ability to keep-up with The Advanced Vein Care Solutions team. Caren holds an Associates Degree in Liberal arts from Nassau Community College, an Associates Degree in Dietetics from Farmingdale University, and is certified in CPR and Diabetes Education. 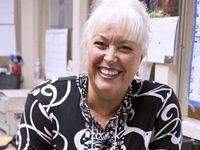 Dolores joined Advanced Vein Care Solutions in 2007. Whether she is acting as a liaison between the hospital and our practice, facilitating insurance reimbursements, processing patient statements, verifying patient benefits, or even making office appointments, Dolores plays an important role in the daily management and care of our patient’s accounts. A dedicated and attentive individual, Dolores brings over 20 years of practice experience into the Advanced Vein Care Solutions team. 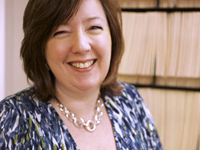 Her work over the years in various medical settings affords her direct insight into the proper care and management of each of our patient’s medical billing records. Dolores is a friendly, organized and superior communications expert who enjoys taking a personal interest in the health concerns of our guests. Her passion to provide our patients with the best care and assistance when navigating through their healthcare system drives her to smile at each step of the way! Dolores holds an Associates of Arts Degree from Nassau Community College. Lisa C rejoined the Advanced Vein Care Solutions team in 2006 after being out on maternity leave. As Practice Manager, she plays an important role in the comprehensive care and management each patient receives at our establishment. Lisa is responsible for overseeing all aspects and daily operations of the practice, attends to the needs of each of our patients, coordinates and supervises staff daily activities, facilitates practice accounting and works alongside Dr. Rochman in determining the best direction for the overall growth of the practice. Ms. C is considered an honest, loyal, sincere and hard working individual by her peers and brings more than 20 years of experience and knowledge to the Advanced Vein Care Solution team. Prior to joining Advanced Vein Care Solutions, she worked for the National Claim Administration as a Claims Manager, an attribute well appreciated within our medical practice. Lisa asserts her open style of communication, friendly attitude, and results oriented approach guides her interest in working with Dr. Rochman and the Advanced Vein Care Solution’s team. Her professionalism, expertise and true concern for others ensures her patients will receive the highest quality care when visiting our center. Lisa is a graduate of Long Island University in Long Island, NY where she received her Bachelors of Administration in International Studies at the CW Post campus.